The Australian Government’s Department of Agriculture and Water Resources has released an Industry Advice Notice (IAN) advising that New Zealand has suspended imports of Australian rockmelons and honeydew melons that have been treated with dimethoate. This suspension is effective immediately. The New Zealand National Plant Protection Organisation has advised that, effective immediately, they will no longer be accepting consignments of rockmelons or honeydew melons that have been treated with dimethoate. The suspension includes consignments that are currently in transit. The department will not be issuing certification with EXDOC endorsement 1646 for rockmelons or EXDOC endorsement 3576 for honeydew melons. Exports sourced from pest-free areas are still permitted. It was interesting to read the commentary from my colleague Hembree Brandon quoting Mike McCormick, president of the Mississippi Farm Bureau Federation, on the impact of the boll weevil. That’s because my family has its own boll weevil story. In 1926, my grandfather left St. Francis County, Ark., and moved 50 miles north to get away from the pest. No one knew how to control it, and it was literally eating them out of house and home. They returned two years later after someone determined they could kill the boll weevil by spraying or “dusting” with insecticides such as calcium arsenate, also known as Black Annie. McCormick’s comments about the dispersal of families in his part of Mississippi due to the pest came at a meeting of the Mississippi Boll Weevil Management Corporation and Farm Bureau Cotton Policy Committee where they celebrated another weevil-free year. The irony is that if the boll weevil was as prevalent today as it was in the 1980s, there’s no guarantee cotton producers and entomologists could eradicate the pest. For openers, the political will needed to unite all the disparate elements of agriculture and government to fund such a program may no longer exist. And there’s the possibility malathion, the insecticide that was the workhorse of the boll weevil eradication effort, would not be available to complete it. EPA is currently conducting a review of several organophosphate insecticides, including chlorpyrifos (Lorsban). There are concerns the use of EPA’s “water model” to determine the impact of chlorpyrifos rather than real-world scientific data could spill over into reviews of other OPs such as malathion. Public health officials are worried about the latter because malathion is used extensively in mosquito abatement programs. Canceling the registration for a product that could be critical to battling the Zika virus would be a significant loss to fearmongering by environmental activists. For more information on cotton issues, visit www.cotton.org. THE LOS BAÑOS-BASED International Rice Research Institute (IRRI) has expressed “concern” after the Supreme Court (SC) suspended the use of genetically modified organisms (GMO) on Tuesday. As soon as the institute obtains the full copy of the SC decision, it said it will read it carefully “to take stock of all implications” on biotechnological research. One of the products that may be affected by the SC’s unanimous Tuesday ruling is Golden Rice, a genetically engineered variety developed at the IRRI. The rice strain was designed to produce beta-carotene (pro-vitamin A) and address vitamin A deficiency, which may lead to blindness and thousands of deaths among children. 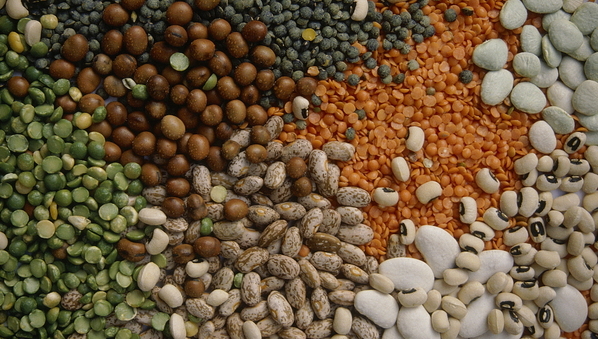 “It is the poorest and most vulnerable groups, especially women and children, whose health and well-being are most negatively affected by the scourge of micronutrient deficiency,” the IRRI noted. The SC en banc, voting unanimously on Tuesday, expanded the Court of Appeals’ writ of kalikasan order that permanently stopped the field trials of Bt talong, a GM eggplant engineered with a bacterium to deter pest insects. Besides affirming the stopping of Bt talong testing, the SC halted the use, testing, propagation, commercialization and importation of GMOs after it nullified the Department of Agriculture’s regulating GMO use. It ordered the use of GMOs “temporarily” stopped until the Agriculture department promulgates new rules that will more sufficiently comply with the country’s biosafety framework and international protocols. The SC in that decision cited the lack of scientific certainty in stopping GMO use, saying that it had to rule in the benefit of the environment amid the lack of safety guarantees. A Katherine melon grower says “nothing has changed” for his farm after the Northern Territory Government declared a plant virus cannot be eradicated. The Department of Primary Industry (DPI) recently stepped back from trying to eradicate Cucumber Green Mottle Mosaic Virus (CGMMV), opting instead for a management program. The virus, which affects cucurbits like melons, pumpkins, zucchini, squash and cucumbers, was found to have spread from quarantine zones and is now confirmed on 21 properties across the Northern Territory. Mitchell Curtis grew melons near Katherine until his farm was found to be infected with the virus and put under quarantine restrictions last year. While the DPI is still putting together a formal plan for management, Mr Curtis said as far as he understands, the move to management will not change anything for his farm in the short term. “Basically for us, nothing has changed,” he said. “Most of it is structural at this stage and once they work that out, we might be able to plant crops, not cucurbits, but plant crops here in 12 months. “Going from eradication, to management leaves a lot of questions to be answered, like whether we can send [cucurbits] down south from an area that’s been infected, what we have to do to stay clean if we do grow here; all those sorts of things to put certainty back into our orchard, so that we can actually grow melons again, all have to be answered. The Territory’s Minister for Primary Industry, Willem Westra van Holthe, confirmed last week Northern Territory farmers growing cucurbits on land not infected with CGMMV are still able to sell their produce interstate with a Plant Health Certificate. Mr Curtis said the declaration that CGMMV cannot be eradicated ensured the nature of the Northern Territory melon industry has changed irreversibly. “I think there’s some big questions over Territory melons, I think that’s to do with people not understanding what this virus is,” he said. “There are a lot of viruses in melons, this is another virus that we have to learn to manage. 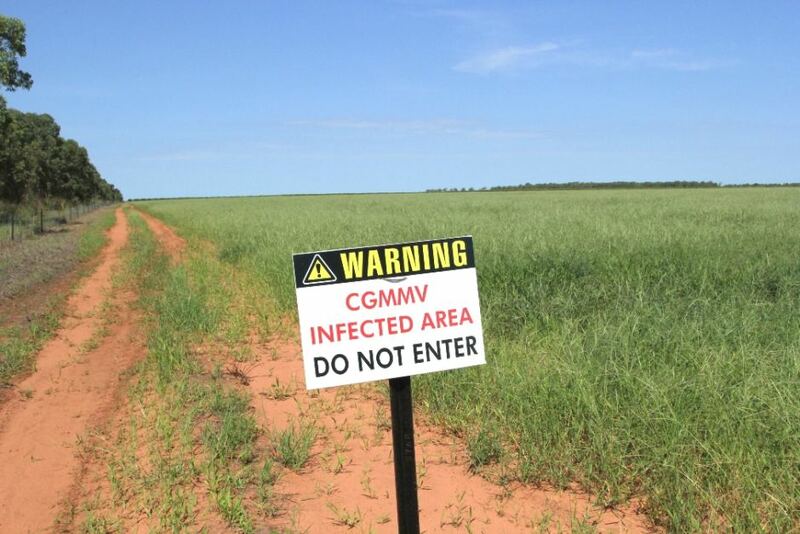 Mr Curtis leased a plot of land from the Northern Territory Government to grow melons on this year, but to his “absolute horror” he found the land was already infected with CGMMV. “It certainly indicated the problem we thought we had under control was not,” he said. However Mr Curtis said he believes the virus can be safely managed and controlled. “We’ve got to keep the thing in perspective so that we understand that small areas in the Northern Territory are infected, but there’s a lot of other areas that are quite safe to grow melons and deliver them with no virus,” he said. Biodiversity is moving up the global development agenda, following a major meeting of policymakers at the 12th Conference of Parties (COP12) to the UN Convention on Biological Diversity (CBD) in Pyeongchang, South Korea. With countries working on setting the next targets after the Millennium Development Goals, biodiversity is already included as one of the proposed 17 Sustainable Development Goals (SDGs) in the UN draft working document agreed in July. However, the current draft does not acknowledge biodiversity’s effects on global issues such as health, poverty and food security. These effects took centre stage at the event in Pyeongchang, which was attended by around 3,000 delegates from 6-17 October. “If we tackle poverty, inequality and environmental issues in separate silos, we can’t succeed. We have to have holistic approaches,” said UN Development Programme boss Helen Clark. Braulio Ferreira de Souza Dias, executive secretary of the CBD, told environment ministers and other delegates that its 2010 biodiversity plan was critical. “We will not be able to achieve sustainable development if we do not implement the Strategic Plan for Biodiversity,” he said. The plan estimated that US$150-440 billion a year was needed in biodiversity-related financial flows to reverse species and habitat loss, compared with the US$50 billion a year in 2010 being spent worldwide. At the beginning of the COP12 event, the UN released a report showing progress was lagging on biodiversity goals known as Aichi targets set out in the CBD’s 2010 biodiversity plan. For example, the key target of halving the rate of biodiversity loss, backed by a US$2.2 billion fund created at the 2010 COP meeting in Nagoya, Japan, is nowhere near being reached, according to projections in the Global Biodiversity Outlook 4 (GBO4) report. At a separate high-level meeting that took place on 16 and 17 October, ministers of the environment signed the so-called Gangwon declaration, pledging to double biodiversity-related funding for developing countries and maintain this level until 2020 to reach the Aichi biodiversity conservation targets. Despite opposition from some larger developing countries, including India and Brazil, which cited budget constraints and the need to hold richer countries to their funding commitments, the meeting agreed that signatories should “mobilise domestic resources”. This breakthrough clause, unusual in UN documents, will mean that national budgets should give more priority to biodiversity issues. Other areas falling well short included stemming species loss, habitat destruction, overfishing and pollution. And it seems that such declines as well as pressures on habitats are only growing, said Derek Tittensor, senior marine biodiversity scientist at the UN Environment Programme. “We’re making some effort, but, at the moment, we’re not seeing the benefits,” he told SciDev.Net. “There has been an increase in resources and that is projected to continue into the future — that’s partly what has come out of the COP12 meeting in Korea — but the big question is whether that will be sufficient to arrest the decline in the state of biodiversity that we observed and projected,” he added. Others, however, were more optimistic. GBO4 “is just a starting point”, said Anne-Hélène Prieur-Richard, acting executive director of international biodiversity research programme DIVERSITAS. “Some of the targets are very far from being able to be achieved by 2020. However, we also know there are lags between the time of starting actions on the ground and the time you get the fruits of them,” she told SciDev.Net. Braulio Ferreira de Souza Dias, CBD In total, the meeting adopted 33 decisions referred to collectively as the ‘Pyeongchang road map’. Among the decisions was an agreement to establish a technical expert group to examine how synthetic biology products should be regulated. COP12 agreed that risk assessment and regulations must tally with the ‘no-harm principle’ that activities avoid damaging the environment of other states or areas beyond the limits of national jurisdiction. But the highlight of the meeting, according to delegates, was the entering into force of a treaty signed four years ago that opens up access to genetic resources and a mandatory fair sharing of the benefits derived from them. The Nagoya Protocol on Access to Genetic Resources and the Fair and Equitable Sharing of Benefits arising from their utilisation to the CBD came into force on 12 October after the 50th ratification.